Luna has been summoned by Tara, her best friend, to an ancient village on a remote island. Tara needs Luna's expertise on a newly unearthed artifact that might prove the existence of the legendary cult of the Madra Alta or Wolf Man. But when she arrives the locals are acting very strangely, her friend has disappeared, and terrible clues reveal a situation beyond her worst nightmare. She must rely on her fearless wit and trusted allies to find her friend. She must dig deep into the instincts and courage of her own inner animal to defeat the Wolf King himself. 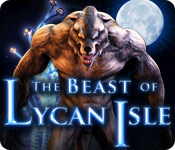 The Beast of Lycan Isle is rated 3.6 out of 5 by 35. Rated 5 out of 5 by debbi2qlts from An evil werewolf ritual I really do enjoy a good old adventure game. There are HOS and super puzzles that had me thinking. You need to save your friend from an evil Werewolf ritual. There is a map that you get piece by piece as you advance in the game and a journal that saves important runes and so forth. Move your cursor everywhere to see the white arrows for where you can go and there are many locations and all have a purpose in the game. You play the part of Luna who has come to save her friend Tara who leaves clues along the way. There is also a very interesting old woman who helps guide and encourage you. Be fearless as you never know when the evil Were might appear and he is menacing and scarey. Great atmosphere and music to keep you on edge. Graphics fit the story and are well done with a Steampunk ancient island. I did get a bit lost at times with so many interesting locations. 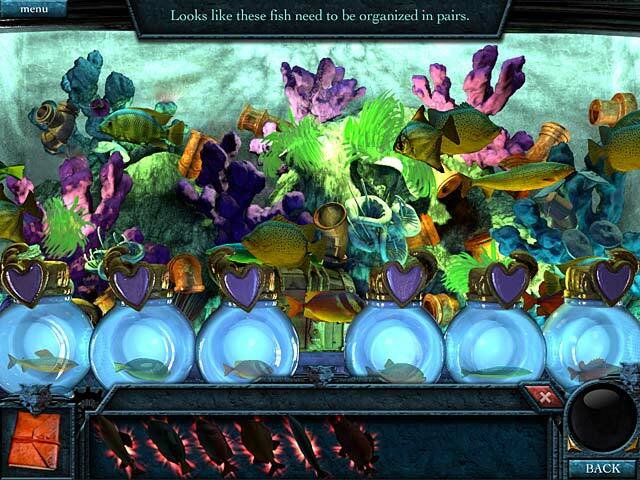 There is an unusual Hint System that does not Hold Your Hand.instead it tells you to go to ? and find ? to use ?. I was glued to this game for 3 nights after my family had all gone to bed. I had the SE and there is no Walk-through to help you. I feel very satisfied after finishing the game which looks like there may be a sequel. Not telling why but you will know at the very end of the game. I definitely recommend trying this game, it will draw you in. Rated 5 out of 5 by melmill2552 from A nice surprise! I had hesitated to buy this game in the past because of some poor reviews. Having completed it, it is now among my top favourites. You need to adjust to the style of play a little more with this game than some others, as it is mostly adventure, with some HOPA (hidden object pieces assembled); but it is well worth it. The hint system is very useful for this. It kept me interested from start to finish. Rated 5 out of 5 by TopazMystique from “Beastly” hidden object but fantastic adventure! Sorry to see so many negative reviews on this one. 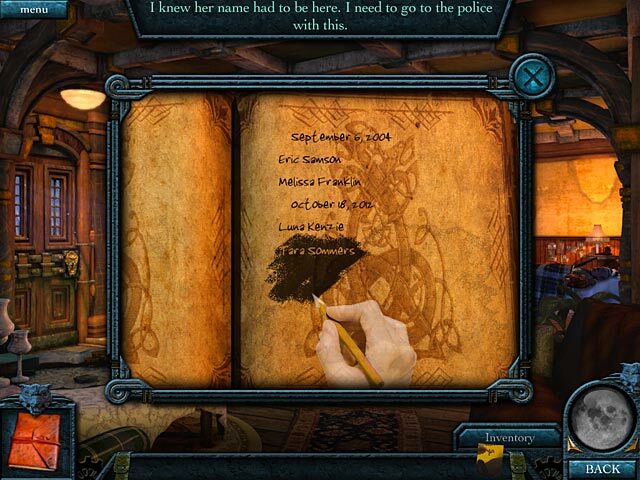 Unfortunately, I think this would have a higher rating if it was categorized as an adventure rather than a hidden object. Games listed as “hidden object” that do not have traditional hidden object scenes or very few of them are a misnomer in my book. This one truly is an adventure! The scenes are intriguing with the lighting effects and I especially enjoyed just traipsing around even if there was little if anything to do in a scene. It was only a little confusing toward the end trying to find how to get to one location. It was a pleasant change from Break the Curse: Crimson Gems which I found tedious and time-consuming with puzzles that I hated and long SKIP recharge times (another one that is mislabeled as a HOG that should be a puzzle). Although many seasoned players found the glowing inventory items “too helpful”, I thought it was a great idea and enjoyed the change from traditional inventory usage. As I get older I think I am gravitating toward games that are just enjoyable that I can relax playing rather than challenging. I want an intriguing story, great graphics and interesting special effects. I think Beast of Lycan Isle fits the bill for me. I found it an unusual game to say the least and would love to find more like it. But as always, try the demo and judge for yourself! Rated 5 out of 5 by tutortime from Loved this different game! Not your typical game. You are guided thru the game by a character and directed on what your tasks are. I liked this different take on a game and also its story line. Rated 5 out of 5 by AdrianaIP from The visuals alone are worth it Breathtaking visuals, reminiscent of "Empress of the Deep" and very much in the mood. Woderful charatrization of Brinna, the werewolf fighter. Linear narrative, where you do not explore an aread until you are done with the previouls ones. Puzzles challenging but not frustratingly so. Another winner for this developer. Rated 5 out of 5 by denniann2 from an interesting adventure game and not an HO game hints/skips charge kind of slow. the hints charge faster than the skips. the games are interesting. i played casual, no sound. the graphics were really good. you are trying to rescue your friend that has been captured by a wolf for a ritual and you are trying to hunt them down before it can take place. the last scene......sequel????? Rated 5 out of 5 by millymolly80 from Brilliant game! This game was wonderful . State of the art graphics in my opinion and the cut scenes were AWESOME!! Loved the fantasy style story-line. 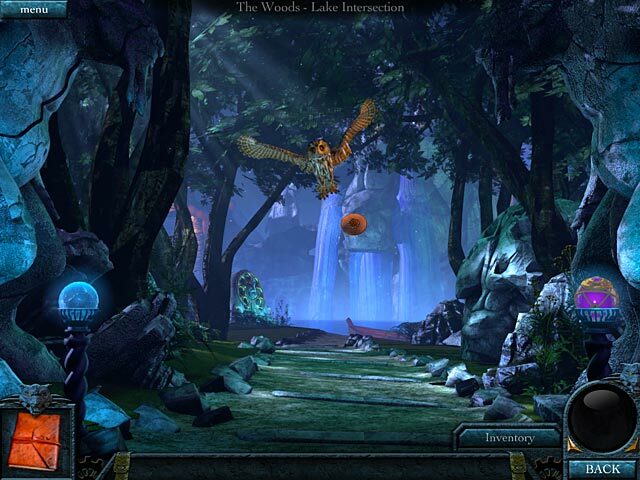 Very atmospheric and BRILLIANT to play, good music and sound effects,worth every penny. LOVED IT!!!!! Rated 5 out of 5 by the3rdparty from Very Artistic and Creative Game I liked the game when I did the trial and made a note to get it. I got it and played the whole game. I really enjoyed the beautiful art work in the various scenes throughout the game. There was also a great deal of variety - I am sure I will play it many times. Rated 5 out of 5 by Radgame from Am loving it! Lycan Beast is so much more than a Beauty who's out to defeat the Beast! :) I almost didn't download this because of the several negative reviews. Boy, am I glad I played the demo because I love it! It may not be to everyone's taste but I'm all for Devs. who try new approaches to the same 'ol stuff. Whoever came up w/ the sketches and background scenes did a brilliant job of capturing imaginary worlds and giving a twist to a familiar storyline. Please know I'm not an avid player, so excuse the lack of techie terms and/or lack of reference to any past games (in case this game has been re-hashed). I only read reviews to find out about maps, how hints work, etc, because I have a cap on bandwidth usage and not that much time to download and try. I bought it (using a PCC) after 15 mins of demo (casual mode) because of: - Intuitive game play - HInt tells you what/where to do/go next. Recharges quickly but I've not used it since I got the hang of how to play. - Brilliant graphics even if on the darker (night time) side - Movement through game is easy even without an interactive map (it shows areas as "Quest" = tasks remaining). - No screwdrivers, saws, crowbars, magnets kind of inventory. Sure, some elements are familiar but in a diff. way. - Inventory is never overloaded - Puzzles are not mind-benders - That feeling of exploring diff. worlds/paths that's nothing like the real one (no city streets, typ. homes, etc) - A sense of humour...just LOVE the old lady's character! Brina - lol...salty 'ol lass w/ sass, eh? - Story kept my attention w/ a sense of mystery...not at all predictable. - Graphics sort of remind me of the Drawn series (magical world even though the theme draws from real characters + elements) - Travel back and forth from areas isn't too much + I liked that I could see the scenes in detail on my way back - It's easy to start playing where I left off even after a few days (this is how I tend to play; rarely finish at one sitting) Only cons: No custom cursor + it seems to be a bit sluggish, darker graphics + those white arrows that point you to where next. Awesome game, zero regret! Luna's friend calls her to a remote island after unearthing ancient mystery. Now together they face the cult of the Wolf Man.